Frustrated with these Common Problems? Are you currently using a special sleeve cover to make certain dogs bite in the middle of the sleeve? We will show you a technique that will fix this problem in no time without any special equipment. 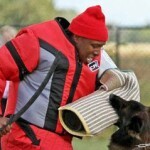 Are you unsatisfied with the power and intensity of a dog’s guard work? Here, you will learn how to make every dog you train guard in a strong, aggressive way. Are you training dogs that need a warm-up bite to be at their best? Or, have dogs that need to be teased or threatened before they will bite? Not only will we will show you how to fix this problem in dogs that have it, but also how to avoid developing the problem in future dogs. Have you experienced dogs that do not bite full or “corn cob” from one end of the sleeve to the other? We have simple, effective techniques in this method that will make these problems a thing of the past. Do you prefer one kind over another? Are all the good dogs in your club or unit the same type? The PronouncedK9 Club will help you to find the strengths in every dog and teach you how to use those strengths to train a balanced dog. The point of this program is to teach you how to train every dog to its full potential. WOULD YOU LIKE TO LEARN A TRAINING METHOD THAT WORKS ON EVERY DOG, EVERY TIME? The PronouncedK9 method teaches you to identify the different types of dogs and helps you understand why they each react the way they do. Once you have this knowledge, we can show you how to guide each dog through our ten key steps to training a protection dog. The PronouncedK9 method is based on the concept that there are four different types of dogs. You will learn how to identify each type why they each think differently. This knowledge will allow you to understand the best way to train each dog is by working with its natural drives and instincts. We will show you how to train through 10 basic fundamental steps that every protection dog needs to learn. When the fundamentals are solid, you will be well on your way to producing an exceptional protection dog. Our on-line training community will allow you to share your training experiences and receive helpful feedback. Our team of experienced trainers will be on hand to point you in the right direction and give you a clearer understanding of our training methods. PronouncedK9 is a training method that I developed to promote fundamentally-sound Schutzhund training for sport, police and protection dogs. Our goal is to teach you to produce well-balanced dogs with reliable training that are capable of succeeding both in real-life situations and high-level competition. We are the first interactive online resource for working dog trainers, helpers, and handlers. 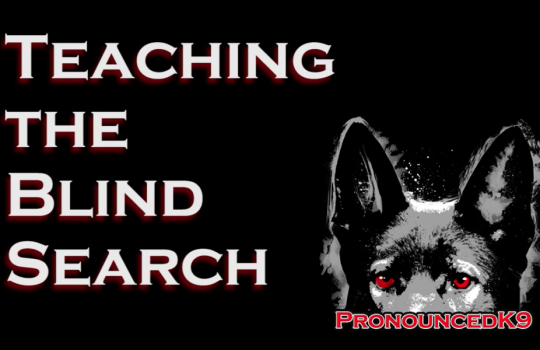 Members of the PronouncedK9 Club will not only learn a clear step-by-step process that works on every dog, every time, but will also develop an understanding of why the process works and how each dog learns best. You will have access to instructional videos and a forum where you can have your questions answered by some of the top helpers and trainers in the country. During the 30 years I have been involved in Schutzhund/IPO, I have seen it evolve from a true test of courage and hardness, to a sport played by dogs for points. It used to be that training a Schutzhund dog and training a protection dog were the same thing, but today there are so many gimmicks and an overall lack of fundamental understanding that this is no longer the case. 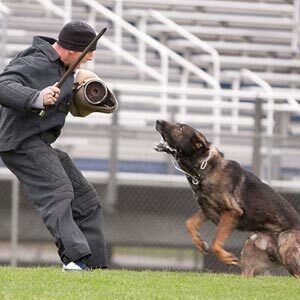 Because of this, many police and protection dog trainers do not see the sleeve training done by Schutzhund trainers to be relevant to their programs. The PronouncedK9 method uses some of those old-school fundamentals to train working dogs that are capable of succeeding in any arena – sport, police, family or executive protection. Brian began doing helper work in 1980, and worked his first trial that same year. Since then he has been chosen as helper for five national and five regional championships, and has worked over 100 other USCA club trials and breed specific events. Brian is currently a National Level Helper with an excellent rating with the United Schutzhund Clubs of America. He has personally coached five different helpers who have gone on to work national events as well as one world championship. He is the training director of Der Michigan Schutzhund Verein, and over the course of his 30-plus years in the industry, has trained, bred, and sold sport, police, executive protection and family protection dogs. John is a helper, competitor and professional trainer of over 13 years experience. 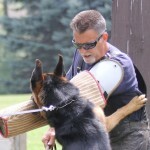 He is the founder and training director of Metro-Detroit Schutzhund & Police K9s and is currently employed as a consultant for several law enforcement agencies in Michigan and Ontario. He is a certified national level trial helper with the United Schutzhund Clubs of America and has been selected as trial helper at seven national championships and five regional championship events. John is also a successful competitor in IPO with recent appearances and top ten finishes at the national championship level. Waine, the founder of Sweetcorn Kennels, is a professional trainer and DVG national level helper with a passion for the working dog. To date, Waine has been selected in seven national championships (DVG Nationals twice, UDC Nationals, WRSF Nationals, USRC Nationals breed survey, Boxer Nationals) as well as seven regional DVG and USCA events and over 40 club trials. Every week a new video lesson, presented by Brian, will be available for you to watch and discuss on our forum. By the end of the week, you will receive the “wrap up” video that will be based on member questions and comments. Discuss the training videos with other club members. Share your opinions and ideas, and ask questions to the trainers. Don’t be afraid to ask your training questions. The PronouncedK9 trainers are monitoring all discussions and want to give you the information you need to succeed. PronouncedK9 is based on our members. Ask the questions you need answered and our trainers will gear the content toward you! Have your dog or helperwork evaluated by our trainers. Your video may even be highlighted or used in a future lesson! If you are not satisfied with our site or our training methods, we will be happy to refund your subscription. 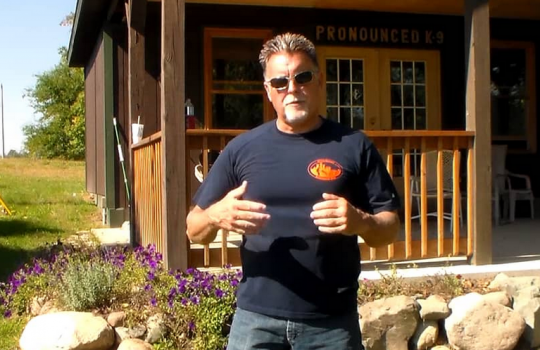 Whether You Train One Dog or Many, Find Clarity in the PronouncedK9 Method. Is PronouncedK9 Right for You? 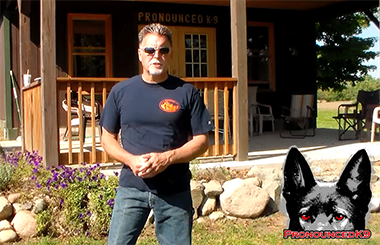 Learn the strategies we use to train top level protection dogs and receive exclusive offers and specials from PronouncedK9.